You might have noticed that Smarty Ears has been releasing big updates to some of their early apps. This week they released an update on R Intensive. When I saw the update I knew many of you would be eyeing it because I’m sure I’m not the only one with many /r/ kids on my caseload! Smarty Ears provided with the code, but the opinions are mine! Within my articulation only caseload, the elusive /r/ remains my highest incidence. I was excited to have 415 new stimulus pictures to use with my caseload. Luckily much of my /r/ caseload is grouped together so I tested it out with them! 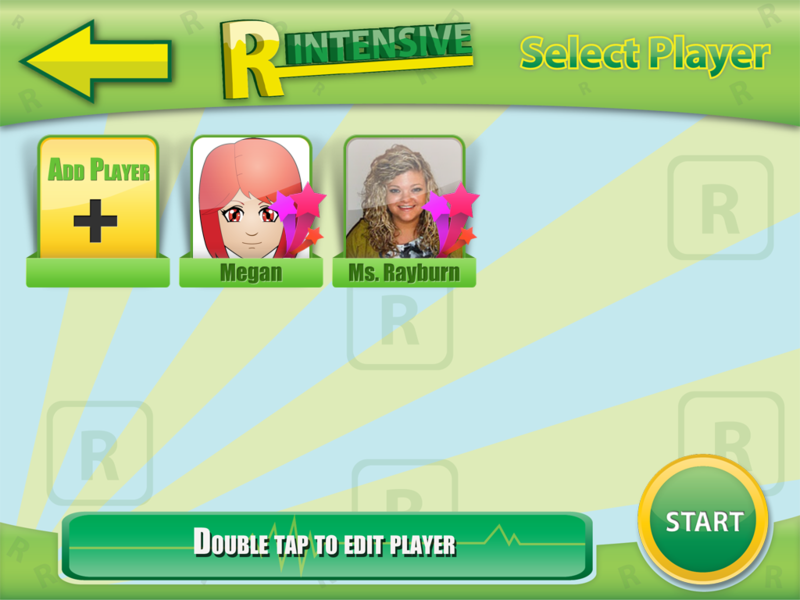 Start the game by entering your students with an avatar or picture. You may add up to 4 players at one time. Touch their picture to select the people participating in today’s group. The home screen also contains a ‘quickplay’ option where you do not select students for data collection. The next page lets you select Flash Cards, Matching or the Guess What game. A phonetic approach is used to target the following sounds: air, ar, ear, er, ire, or, prevocalic r, rl and clusters. Select one or more sounds to target. Within the flashcards section you may work at the word, phrase, or sentence level. I like starting with the word then saying the phrase and sentence level immediately following. Large red, yellow, and green circles at the bottom keep track of data. Arrows allow you to move back and forth between stimulus words. Each time you move to the next stimulus word, the player in the corner switches indicating someone else’s turn. 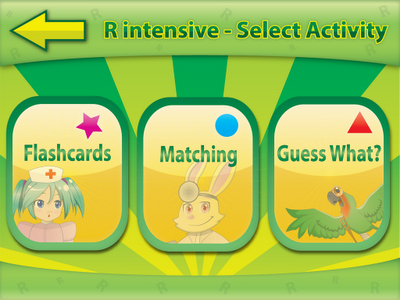 In the matching game you can work on more than one type of vocalic /r/ target. You choose either word, phrase or sentence level. Play the matching game, repeating the stimulus word/sentence given by the iPad. The game includes 20 cards and can also be played with up to 4 players. The third option for play is a Guess What game. Students are given a clue (What type of shape has four equal straight sides?) and guess the answer. They can then tap the screen to reveal the answer. I found my students were busy with the cognitive task of the game that their accuracy decreased, making this a great activity for carryover. The data collection on this app is up to par with other Smarty Ears apps. Each player has a continuous ‘report card.’ Information is stored about the type of activities completed, the duration, and how many participants. 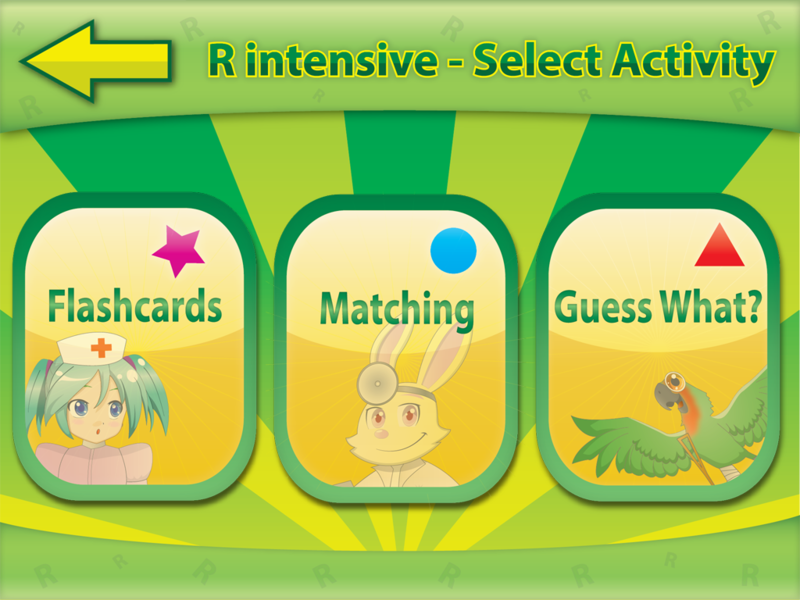 When you complete the flashcard activity, accuracy percentages are gathered as well as specific data about sounds at each difficulty level. You can email or print data from the iPad. I am not a SLP but would share this app with my chid’s SLP if I were lucky enough to win! I don’t have any specific /r/ apps, I do love Artic Station Pro and my Artic cards! This app would be really great to win! Looks like a great way to get lots of practice in during a session. I think my favorite tool is a glove and powdered lemonade to show correct placement in the mouth. The kids love the lemonade! I am not an SLP (although I am in a Communication Science and Disorders graduate program), but I gathering useful apps and would love to win this for future clinical use and for my son who has difficulties articulating the stressed and unstressed “er” phonemes. I don’t have a favorite R tool as I use a variety of different things. I don’t have anything yet for my iPad, so winning this giveaway would be awesome! I haven’t actually used it myself, but I have heard amazing things about the Tongue LifteR for R/”er” and I am excited to try it out myself this upcoming year. 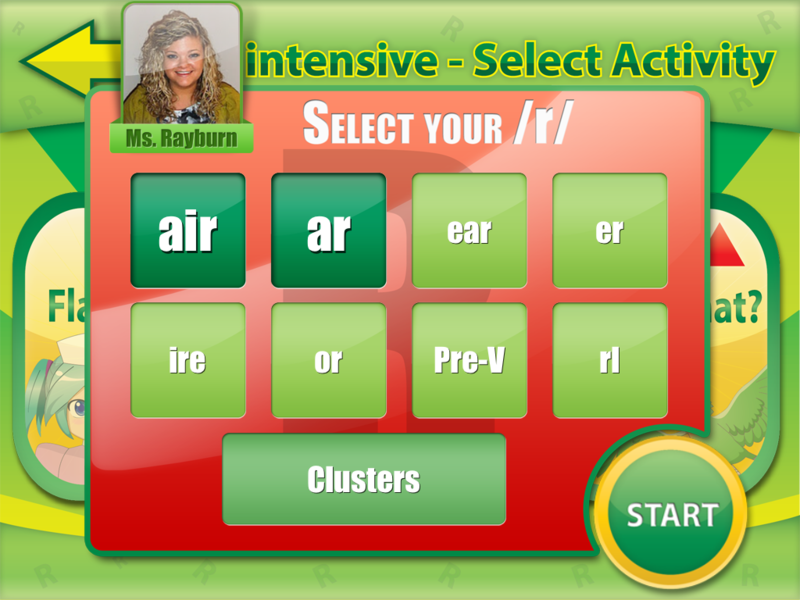 I like Articulation Station because you can choose which type of vocalic r to work on and in what position, instead of grouping them all together. I would love to have more pictures to mix things up! This would easily be my favorite /r/ app! would really love to win it! My favorite /r/ tool is Entire World of R. I would also love to have this app to add to my therapy tools since I have tons of R kiddos on my caseload! I love the Turn & Say /r/ by Super Duper. It separates /r/ just like this app does. I would love to win this app, because it would be portable version of what I love about the Turn and Say. 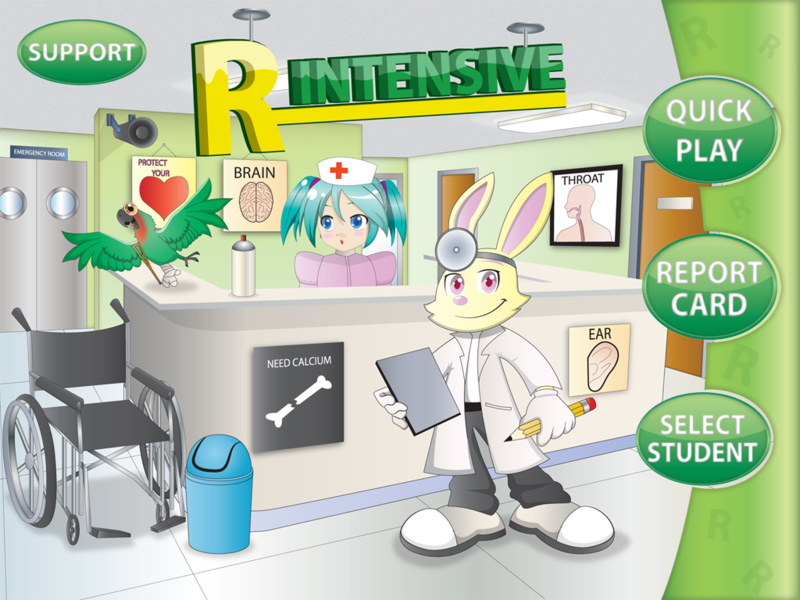 I really really hate r therapy… This app looks like it would be a helpful addition to the tool kit though! I am trying this again!! I have tried to post many times and it does not go through 🙂 I have a ton of /r/ kids on my caseload. I find it to be one of the hardest sounds. Please let me win this!!! I use a lot of materials from Entire World of R, but am always looking for something else for this tricky sound! I like the world of R book. The kids really love the iPad of course so this app would be a great addition. Awesome app! Thanks for the review! I love your review of this app! I am always looking for ways to help my /r/ kids! 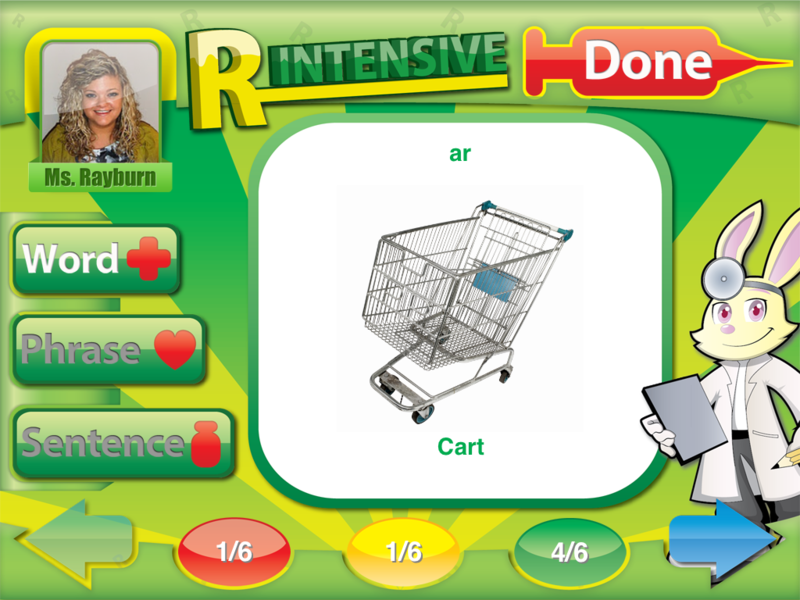 Just picked up a new R kiddo- this would be PERFECT, since smarty ears articulation scenes doesn’t have stressed /er/ to target on its own! I love Merry-Go-Sound for the younger kiddos. It’s an easy game that allows you to use /r/ in all position and in words, phrases, and sentences depending on what level they are working on. I started the 5 Minute Artic Kids program at my school and use the Webber /r/ and vocalic /r/ cards. I work with grades 3-6 so /r/ therapy consumes a big part of my caseload. I was lucky enough to get an iPad this year from my school district, but do not have any Apps on it yet. This would be a great one to start with as I am looking for new ways to help my /r/ kiddos. I use the Entire World of R’s program. I also use Pocket Artic and Articulation Station. Sorrrry that was three that I love to use! This new r app, looks awesome! I use artikpix on my ipad or webber artic cards to work on /r/ sounds. I like the vocalic r photo cards the best. This looks like a great all in one app. May just have to purchase it. I don’t really have a favorite R tool – I’ve used a variety of things. I’d love to try this app out though! I like the Entire World of /r/ books. 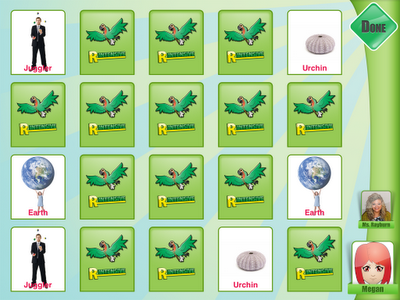 I’ve always use the Entire World of R activity book and the Super Duper Vocalic R cards to work on /r/. This app looks AWESOME!! I have also used Entire World of R but would love to have this too. I like using the Entire World of R Flipbook app. Entire World of R! and also the PocketArtic app. I just started my first job as an SLP in the schools and I would love this to work on those dang /r/’s!!! Right now I just use my regular deck artic cards and some lists I made…I would love to have something R specific! My favorite /r/ therapy tool is “The Entire World of R.” I’d really love to get my hands in this app, as well as a set of Speech Buddies! What a great app. Thanks for sharing! Hopefully I can get it for our clinic iPad. It’d be shared amongst 15 SLPs and about a hundred “r” kids. Thanks! Looks like it would be very useful and efficient. My favorite /r/ tool currently is the Entire World of R, but would love to add an app. I need this! All my /r/ kids are bored with my current /r/ materials! Yay! I am working with the deaf and hard of hearing and working my Auditory Verbal Therapy Training. This would be an amazing app to help me and my students!!! I would Love Love Love this product to use with my students. Anything to make /r/ therapy fun is great. I use artic cards and R work books! boring! would love this app! I have tons of /r/ kids. I can’t wait to try this app. thanks for the review of the app… I love vocalic /r/ bingo. I use the Jumbo artic book from Super Duper. I’ve never worked with an R (yikes!!) but this app would be a pretty good place to start! My favorite /r/ tool is the “Vocalic /r/ to Go” book from Linguisystems. I use it alot! The kids do get bored with that though and I would love an app like this to use with them! I used a lot of Super Duper materials for /r/, but I am getting an iPad soon and would love this app! I use the Pocket SLP app all the time. I love using apps to target articulation. The kids are so motivated to use technology to work on a sometimes boring task!! I use Artic Pix and Articulation Station but would LOVE to try out rIntensive! Thanks for the chance to win! Can’t wait to try this app! This app looks fantastic! I’m always on the lookout for good apps for the iPad as my students think of it as a marvel and are always dying to have therapy on it. I don’t have a favorite /r/ tool. Just trial and error until i get something that works! I usually use artic cards and play different types of games with them, but my kids are always asking to use the iPad so this would be great! I cant wait to try this! An /r/ therapy tool I love is /r/ bingo because the kids love it. I don’t have a favorite /r/ Tx yet, but this one is promising! And the kids can’t get enough of anything on the iPad!! Deck of /r/ cards…I never knew how many games one could come up with until your artic kids need to work on the same sounds time and time again and resources are limited. I don’t have a specific /r/ tx tool, but I use my Mighty Mouth, dum dums (for tongue placement), and lots of drill! I’ve been using The Entire World of R lately. 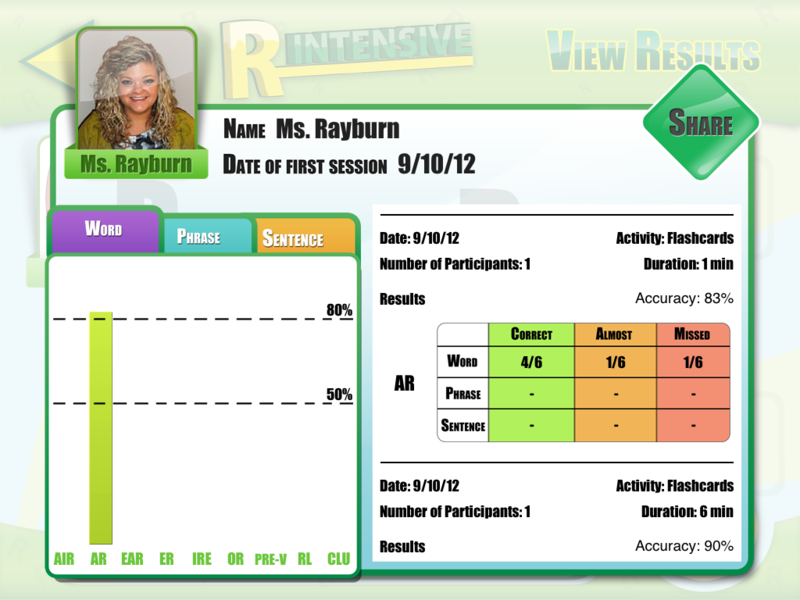 I have been using SATPAC with my /r/ kids once they have mastered /er/ in isolation. For those that can’t say /er/ we sit there with mirrors and just practice practice until they get their tongue in the right spot! I use articulation station, but this app is more specific. I need it! I’ve started using Entire World of R too. This app looks like it would go well with that program. i use world of r cards and 35 yr.old artic cards, so,this app would be a nice update for me! I like the Entire World of R kit. I love the Entire World of R series! Use it all the time! This seems like a pretty awesome app! I currently do not have anyone therapy tool that I prefer for working on the R phoneme. Try to find what works best for each individual student. I’ve looked at this app and number of times buy have never had the extra resources to get it. I use Articulation Station but it would be simpler to have one app devoted just to /r/! I typically use the /r/ photo cards from Super Duper for my /r/ kids!